Last month I was lucky enough to have attended the One Fine Day wedding fair and got to meet lots of talented people plus discover new finds too! 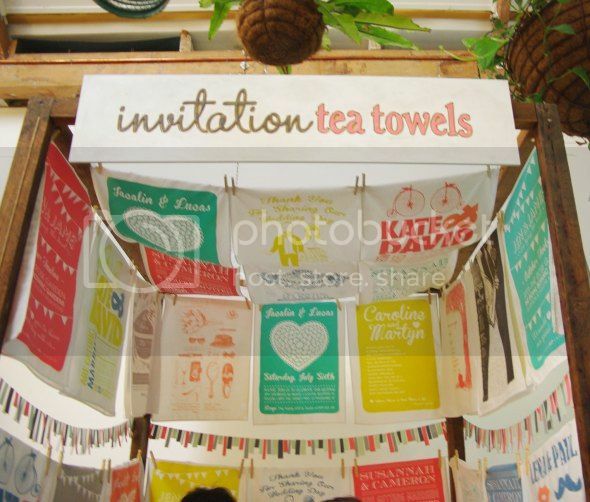 One of the vendors that caught my eye was a wooden stall with tea towels hang around it and lo and behold they're actually invitations in tea towel size. First thing that came to my mind: Brilliant! Today we are fortunate to have Rachel from Invitation Tea Towels to share their awesome creations with us! Hi Rachel! Welcome to Ruffles & Bells! Can you tell us something about Invitation Tea Towels ? And what was the inspiration behind it? 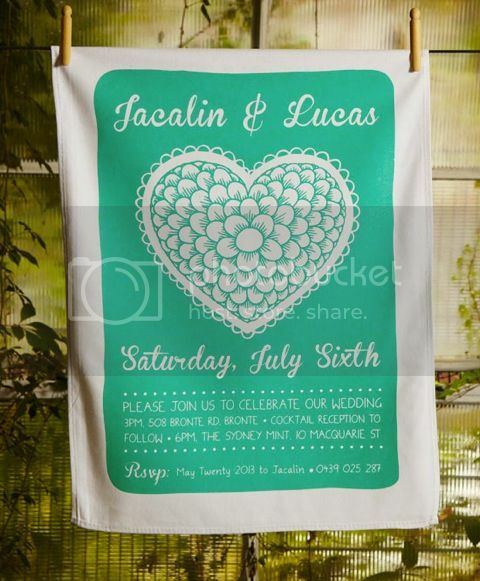 The essence of Invitation Tea Towels is found in unforgettable events. Just imagine, everyone is here for your special day, to share it with you, toasting your happiness, singing along side to your favourite song, and maybe drinking a little too much wine! Invitation Tea Towels are unique hand printed invitations, which set the tone for your special day. They're fun, quirky, and completely personal to you - the perfect gift and keepsake for your guests to have and to hold. 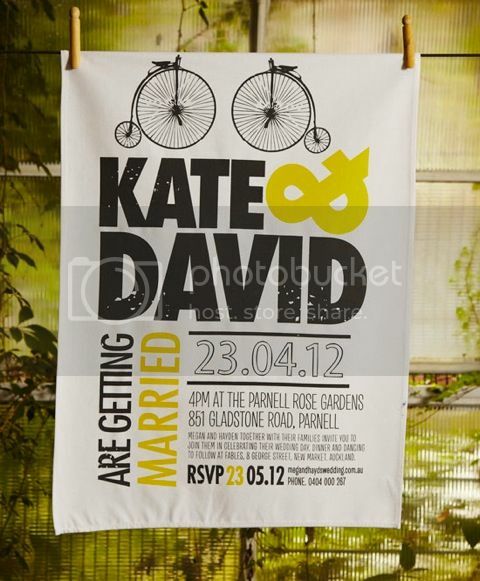 Aside from using the tea towel as invitations, do you also offer tea towels for a different use? 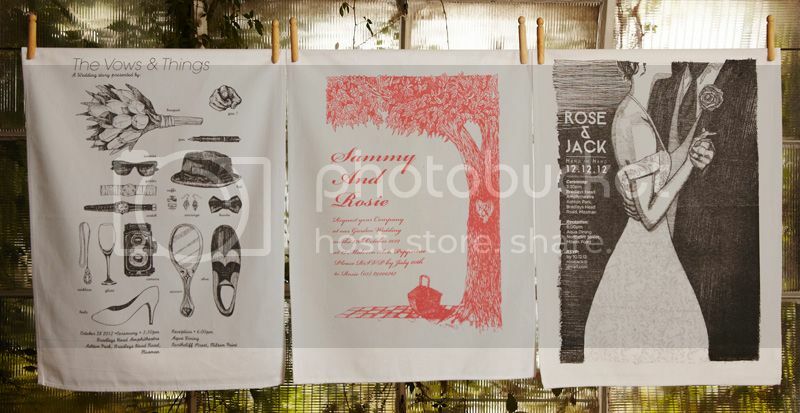 And how do you go about creating your own personalized tea towels? 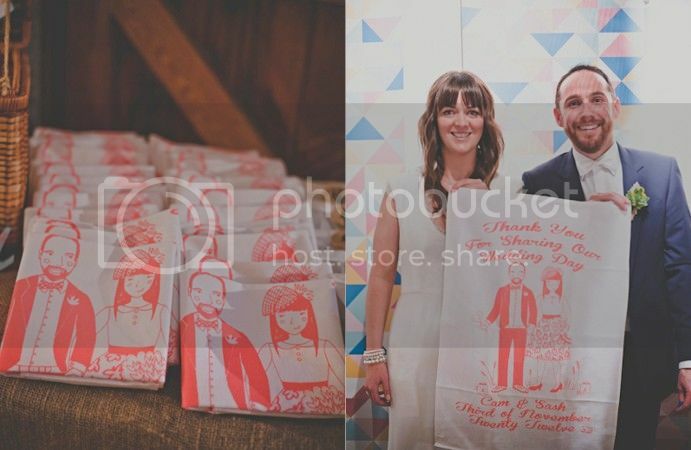 If you would like your own personalized Invitation Tea Towels, the first step is to have a look at the range of designs available on our website and choose the one you love. Think about the color and information you would like on your invitation Tea Towel, be it your Save The Date, Wedding Invite, Thank You or even Kitchen Tea! It's such a genius idea to have an invitation and bomboniere as one. I heard you did this for your wedding. Can you tell us more about it? It was Sasha at ITT that who had her very own tea towels made, for both her wedding invitation and Thank You gifts. For the Thank You's she contacted UK-based illustrator Amy Blackwell, who drew a fab illustration of Sasha and her husband, which she had screen-printed as Thank You gifts for her guests. They looked absolutely beautiful and worked perfectly! You'll see their image on the home page of our website! How cute is that illustration! 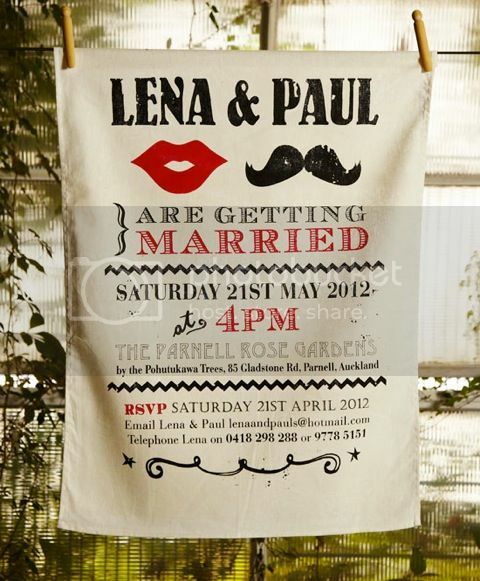 So would you like some tea towel invitations for your wedding? Or make a statement with a unique invitation? You heard her, be sure to check out their website (link below) and find the design you love! Happy new week to you all lovelies!